This past weekend I was invited to one of the latest additions to the vaping industry, Vapor Elite. Being that this store is new, it’s safe to say that you haven’t heard of them, yet. However, I traveled about ten to fifteen minutes to the town next to the one I reside in, all to tell you about Vapor Elite – the hidden gem in Headland, Alabama. Traveling 431 – a popular highway that can lead you to the beaches one way and the other way leading you to the big city life, there is a small town known as Headland. For those of you up north or anyone for that matter, you wouldn’t think much of the small town. In fact, you would probably be more amazed by the sheer amount of farm land, rather than its only happening spot that is basically a convenience store. Granted, there are a few small shops on this stretch, but nothing to get excited over. The town is in clear sight, but it’s also hidden from the rest of the world. 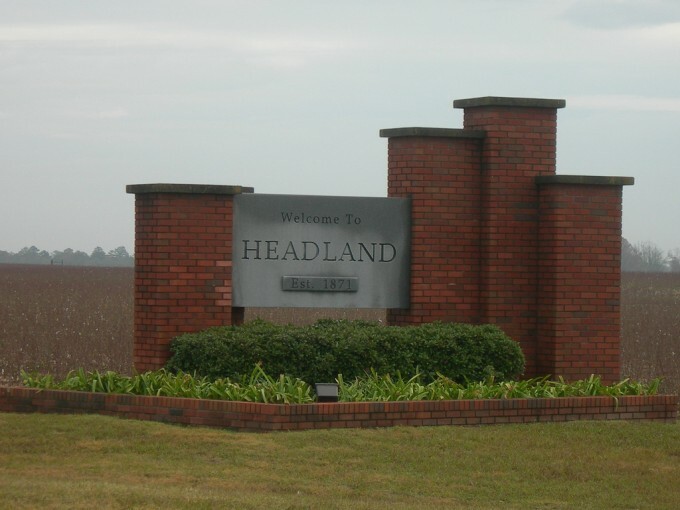 You can enter Headland and before you know it, you’ll be exiting it. Now, if you go the 40mph that the speed limit signs suggest, you may see something to catch your eye, but my suggestion is not to blink if you want to see anything this little town has to offer. However, if you’re one of those that doesn’t blink, there’s a small side road off of the highway that immediately leads you Headland’s hidden gem, which is known as Vapor Elite. Sharing the same building as a neighboring shop, the outside doesn’t contain much dazzle and you would never expect what lies inside. 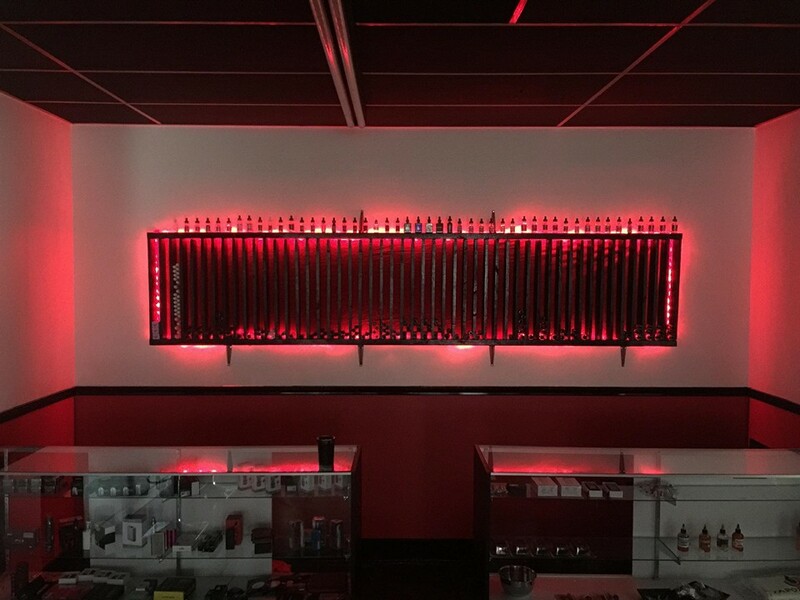 Upon entering, there is a glorious shop filled with elegance, sophistication and beauty, as well as all the latest devices, hardware and e-liquid. Now, I’ve had the opportunity to visit many shops, from the great state of Texas, to sunny Florida, and I’ve never seen a shop with so much class and so much thought that went into it. It wasn’t the largest shop and it didn’t have the most expensive juice bar, but what it did have was tasteful accents and elegant furnishings to deliver a truly warm and inviting setting. Let me tell you folks… you just don’t get this type of treatment anywhere in the country. The theme of the shop was based on three colors, red, black and white. The ceiling was black tiles, while the frame that held them were red. The walls were white, while the framing around the window was black. The floor was black, while the accent rugs tied each color. The detail is where I was most impressed, chic table tops, modern coffee tables and accented decor to fill the room. I honestly could go on and on about how impressive this little shop is, but I feel my words do not do it justice. Continuing, the shop also has a register counter, a juice bar/service counter and towards the end of the shop there are two display cases that held product. Behind those cases and up on the wall was a custom bottle holder, which also features a red velvet backing, and the whole thing lights up red (you can only see it lit up when light is dim). The shop, though not very large, was obviously impressive to say the least, and I feel the team at Vapor Elite deserve much more than a cookie due to the outstanding design and inviting feeling it presents to its customers. Vapor Elite hasn’t been open very long, but it’s hot out of the gate boasting a plentiful product selection. Typically a new vape shop in this area will start off with a small selection and gradually work their way up, but Vapor Elite came out with guns’a blazing. You can find a decent selection of the vaping market’s latest mods, rebuildable atomizers and sub-ohm tanks, as well as some devices and gear that is more directed towards the new vapers. What I was really impressed with was their product selection with the accessories. Not everyday can you go to a store and get the opportunity to purchase the small stuff, and unfortunately that is one of the things that I feel most shops lack very badly. I was amazed to see battery cases to hold 18650’s and a coil-master diy kit for us rebuildable freaks. I’ve said it time and time again, it’s the small things that will really attract buyers, and will also play a good hand in filling up the shelves in your store. When it comes to e-liquid, Vapor Elite isn’t slacking in the least. There were multiple brands, all with different flavor profiles and of course something for everyone. They carry the big names, like Cuttwood and Cosmic Fog, and they even have some brands that aren’t as popular, yet still delivering outstanding flavors. Possibly a few more e-liquid selections and I think they’ll be set in that department. There is something else I would like to point out… they also carry CBD oil, which I’m not too fond of personally. If you’re not aware of what it is exactly, look it up. My issue with this is more personal, and if they want to offer it in their shop, so be it. However, I don’t support this type of oil/liquid, as it associates e-liquid with other substances and could give vaping a bad name or make someone judge the market or industry in a negative aspect. Other than that, I enjoyed the brands that were available and I enjoyed trying a few flavors that I’ve been wanting to try from various brands that they offer. As notation, I would also like to point out that when I first heard about a shop opening in Headland, Alabama – a very small town, I was wondering why anyone would ever want to place a shop in that location. There’s not a ton of people in that area, and many which aren’t vapers, so I was a bit confused. That was until I actually visited the shop. While I was at Vapor Elite a man and woman walked in wanting to try some flavors. Though I was there to take video and get my daily dose of vape shop time, I overheard the couple telling the employee that they were glad a shop came to the area. 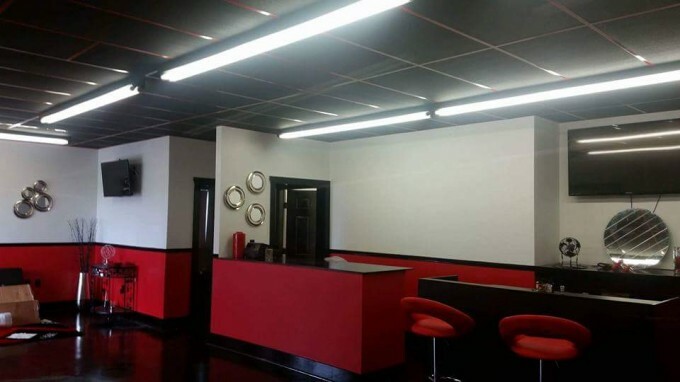 They said that they were having to drive into the city (Dothan) to pick up a bottle of e-liquid and that with this shop opening up, they’re saving them time and gas money. Though Vapor Elite won’t make a killing in their current location and will probably never receive the traffic that other shops do, they are doing a service to that town and making vaping products more accessible to the local community. And for that, I applaud Vapor Elite. The shop looks great, it has a very inviting atmosphere and it’s been tastefully designed with elegance and a modern feel. And look, if you care that much about how you present your store to your customers, then you’ll definitely have my business. It’s not always about having the most mods and the hugest selection of e-liquid, often times it’s about how you present yourself, the details that go into giving your customers a great experience, and the customer service. These are all things that Vapor Elite exceeded in and I look forward to revisiting this hidden gem in Headland, Alabama very soon. Shout out to Chasen Adams and Jason Harris. Great job on the shop guys and thank you for the invite! Good job Blake! I will be paying this new shop a visit really soon. I have been wanting to go but have not had the time, I think that I am going to have to make time now just to go check out this shop and their selection!